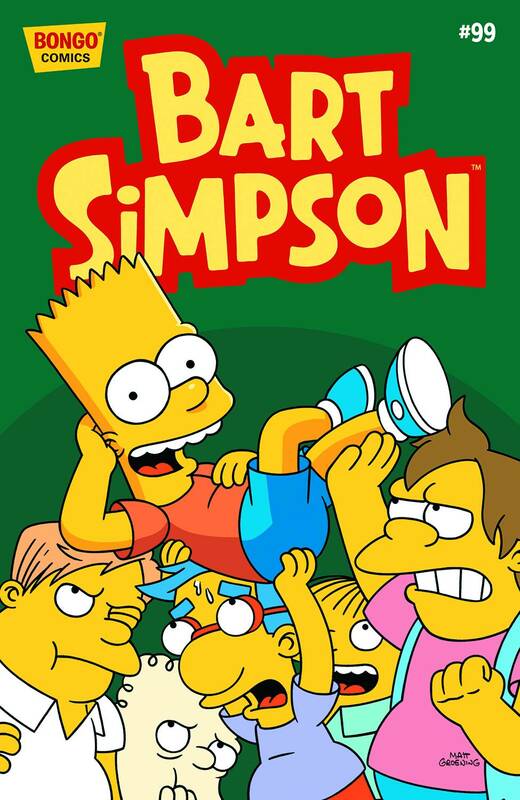 Bart Simpson #99 is the ninety-nine issue of Bart Simpson Comics, it was released on November 25, 2015. "Professor Frink’s newest invention can predict the future employment of all the students at Springfield Elementary, but it isn’t a field day for Frink when the children’s reaction to Career Day turns into a mini-melee. Then, when Bart and Lisa put their minds together, they come up with one humdinger of a Malibu Stacy adventure."